A scene from the SLO Women's March in January, 2017. A few thousand people are expected to turn out for the Women's March in downtown San Luis Obispo on Saturday, January 19. It's one of the many marches planned around the country—for the third year in a row since President Trump was elected into office in 2016. 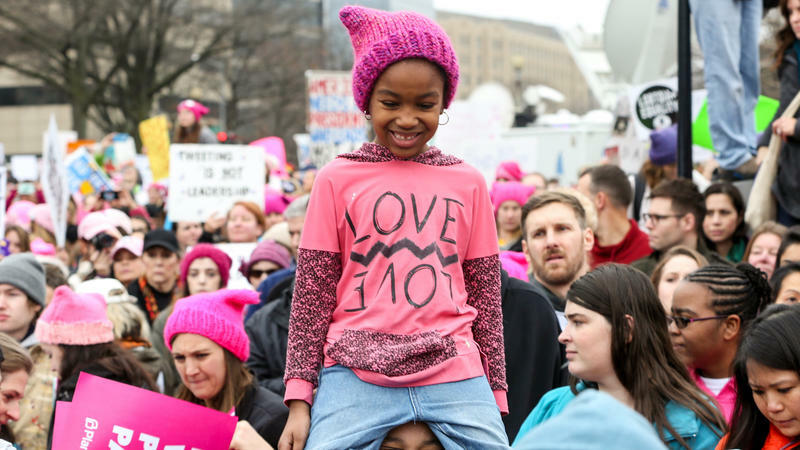 In January 2017, the Women's March on Washington, along with corresponding events around the country and the globe, became the largest single-day protest in U.S. history. On the Central Coast, events are planned in Monterey, San Luis Obispo, Santa Barbara—and for the first time, in Santa Maria. That event starts at 10 a.m. in Santa Maria's Buena Vista Park. In San Luis Obispo, downtown streets will be closed on Saturday morning. The San Luis Obispo Women's March starts in Mitchell Park at 9 a.m. The theme of this year's marches is "Truth to Power." An estimated 4,000 people gathered in downtown San Luis Obispo Saturday for the 2018 Women’s March event. Organized by the group Women’s March SLO, a rally replaced the march of 2017, which motivated an estimated 10,000 to walk around downtown in the pouring rain. 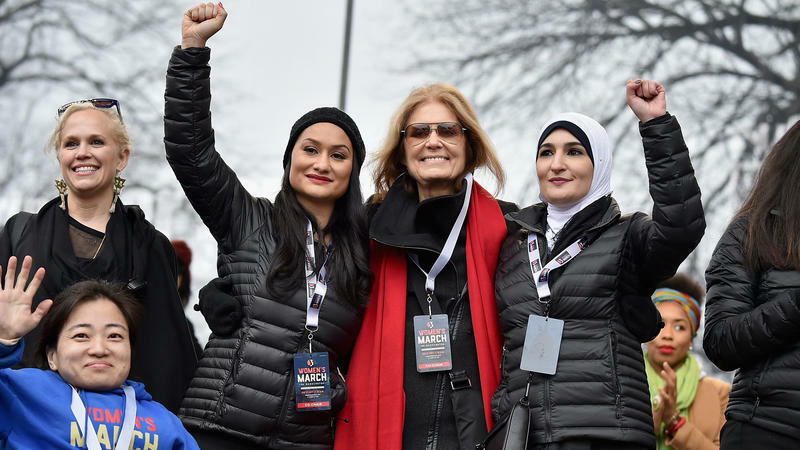 Last year’s the Women’s March on January 21, 2017 brought 5,000,000 to the streets worldwide in response to the newly elected president and his administration. This moment, quickly turned into an important worldwide movement, focusing on human rights and social and environmental justice issues. Now, to mark the anniversary of the historic inaugural march and celebrate the continued work and resistance, a second powerful event is set for January. Angie Beem used to be a woman who, at most, would read the voter pamphlet before Election Day, cast a vote, and consider her duty done. She didn't pay attention to politics much because she didn't think it affected her life. But that all changed ahead of the 2016 presidential election when she noticed Facebook posts that deeply troubled her. "My family were starting to be racist and saying horrible things," said Beem. "I didn't recognize them."